The Heart in their Hand Project offers you the chance to ‘gift’ a heart or hearts, to families that lose a baby. You can choose to gift one heart to give to a family in memory of your baby, or a number of hearts. We will send the heart(s) to a hospital of your choice along with a letter explaining who the heart is in memory of and a general information letter for them incase they haven’t come across the hearts before. If choosing to have the heart(s) sent to a hospital, you will need to provide the Bereavement Midwife or Chaplain’s details and full address. Or we can send the heart(s) directly to you, to give to the hospital by hand. We will also send you an A5 thank you certificate that can be placed in your baby’s memory box. You may choose to donate the gift(s) on a special anniversary date or birthday which is a lovely way to honour your own baby. You can order gifts for up to 20 families, sharing the project with even more families and sending a gift of love at such a devastating time. If you would like to donate more than 20 hearts please email me. Choose details like the poem and colour of ribbon then each gift is placed inside a clear cellophane bag. We recommend that you contact your hospital first to check they would be happy to receive some keyrings. Thankfully there are many local support groups and charities to help support parents which can be a huge help along the bereavement journey. If you have a local support network that provides items and support to the local hospital, then we encourage you to let them know about the project and work together to reach more families. 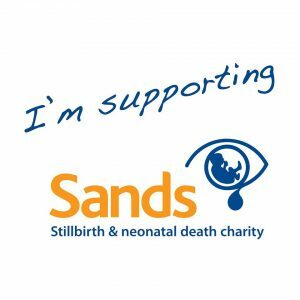 50p from every keyring gift ordered on the website will be donated to Sands (Stillbirth and Neonatal Death Charity). Baby loss charities often provide memory boxes for parents to create as many memories as possible in the short time they have, before saying goodbye. These Memory Boxes are precious and can help so much when leaving the hospital empty handed. 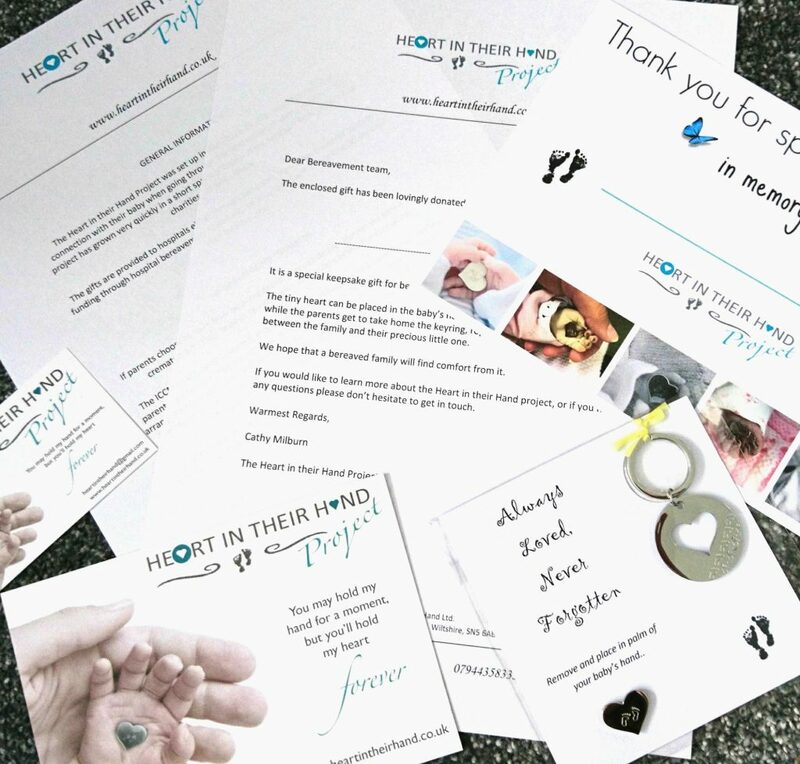 The Heart in their Hand project is a pay it forward project for bereaved parents to help other bereaved parents by offering a gift of love at such a devastating time and works beautifully alongside precious memory boxes. If you are a charity that provides memory boxes and would like to consider including these gifts then click here for more information.